Zoom lens and offset. As is typical of many DLP projectors, there is not much zoom lens range, and no lens shift. In practical terms, that means the geometry between your projector and screen is pretty much fixed. If you have decided on a screen size and mounting location, that will dictate where you must place the projector. Conversely, if you have a specific location in which you must place the projector, that will determine where you must mount the screen and how big it will be. The zoom range of 1.15x gives you a modest ability to make minor corrections for distance placement. The projector has a built-in upward throw angle that places the bottom edge of the image 26% of the image height above the centerline of the lens (or 26% below the centerline of the lens when ceiling mounted). As an example, if your screen is 120" diagonal, your image height is 59". Since 26% of 59" is 15", if you ceiling mount the Z15000, you need to mount the screen such that its top edge is 15" below the centerline of the lens (assuming the centerline of the lens is parallel to the floor). The limitations imposed by the lensing mean that you must either ceiling mount the Z15000 or table mount it on a low table between the seats. For a 120" screen, it must be placed about 13 feet from the screen, give or take about a foot. If you want to sit at a viewing distance of, say, 1.5x the screen width, the projector will be at the same distance as the seats. If you want to sit any closer, the projector will be behind the seats, and ceiling mounting is, for the most part, the only practical option. Placing the Z15000 on a shelf above and behind the seats will cause it to project the image too high on the wall in most situations. You could tilt it downward and use keystone to correct the resulting trapezoid, but that will eliminate the possibility of seeing native 1080p material in uncompressed format, so it is not recommended. Video judder and noise. The Z15000 delivers a smooth, clean video picture in the Movie modes. When switching to Standard, Natural, or Dynamic, you get a brighter picture, but there is a noticeable increase in judder and noise. For best video results, always run in Movie mode. If you need extra brightness, open the manual iris by setting it at high brightness, and/or activate Brightness Boost. Remote control. There are easier to use remotes on the market. This one has relatively small buttons, and comparatively difficult to manipulate. Moreover, there is no backlighting on the remote. One cannot appreciate what a nuisance this is until you find yourself fumbling around in the dark for a flashlight, or trying to hold the remote in the projector's light path to find the buttons you want. 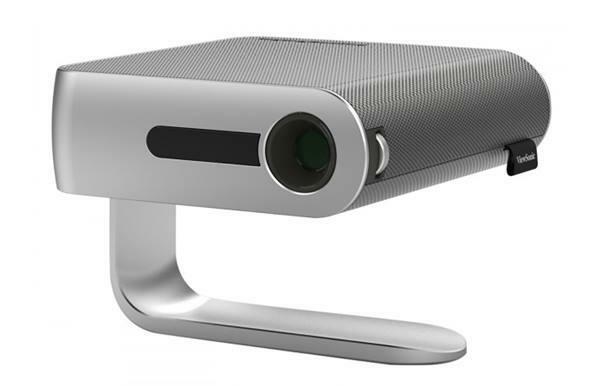 Almost all 1080p projectors on the market these days have backlit remotes. Lamp replacement cost. The Z15000 has a maximum lamp life of 2000 hours in normal lamp mode, and 3000 hours in eco-mode. Note that the retail cost of the replacement lamp is $600, which is higher than average. Typical cost for replacement lamps in this class of equipment is $300 to $400. No on-board anamorphic stretch mode. For those interested in adding an external anamorphic lens for CIH 2.35 set ups, you will need to use an external video processor to accomplish the required vertical stretch of the image.